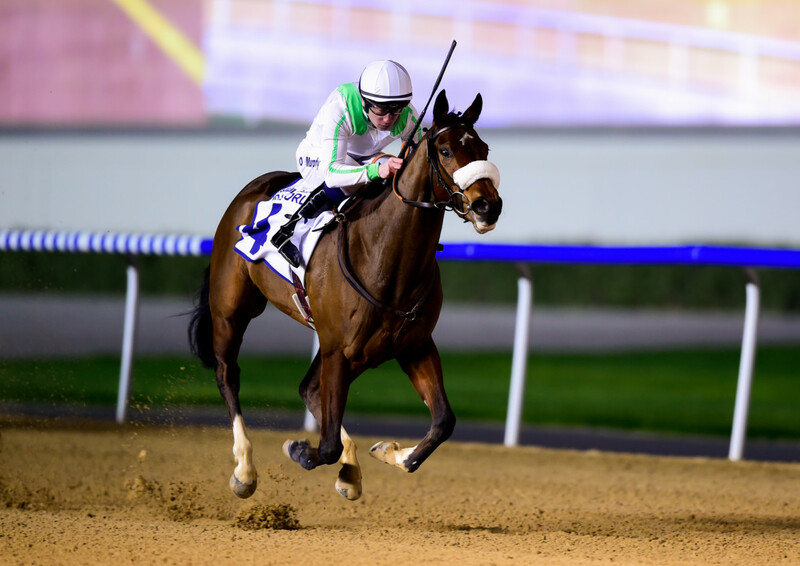 Dubai:The 2019 Dubai World Cup Carnival is proving to be truly an international meeting and a stunning success for overseas trainers with small strings, as was the case on Thursday when French-trained Silva simply ran away with the UAE 1,000 Guineas sponsored by DP World, the first Classic of the season. Ridden by Oisin Murphy for Swedish handler Mme Pia Brandt, the three-year-old daughter of Kodiac made her rivals look slow by quickening past long-time leader Lady Parma, to cross the line a massive 9¾ lengths clear of the international favourite, Divine Image, ridden by William Buick in the all-powerful Godolphin colours. The total authority with which Silva won suggests that she will get comfortably further and the UAE Oaks, a race that was her principal target in Dubai will be next on the agenda. Irish rider Murphy, making his season debut in Dubai following a red-hot stint in Japan where he was the leading jockey with 17 winners, was full of praise for the winner and her trainer. “I gave her a good run up and she jumped and she probably avoided all the kickback,” said Murphy. “Her next assignment might be tougher, but that was a great result. Although Brandt was not present at Meydan Racecourse to watch her stable flag-bearer wow a large crowd, Frieda Loow, Silva’s work-rider, was soaking in the magic. “This was just supposed to be a preparation for the UAE Oaks, which was what we came here for,” said Loow. “We were looking for a race to run before the Oaks to see how she handles the dirt in a race situation, but there wasn’t any over a longer trip so Mrs. Brandt decided to run her in the Guineas instead. Brandt, who is based at France’s famous Chantilly trainer centre, where she share the hallowed gallops with the legendary Andre Fabre and Al De Royer Dupre, is no stranger to success in Dubai. In 2014 she campaigned L’Amou De Ma Vie to win the Group 2 Balanchine, a success that encouraged her to think more about bringing horses over to race in the Carnival. Godolphin had to settle for second place with Divine Image, whose chances were compromised at the start of the race, when the filly left the stalls the last of 15.